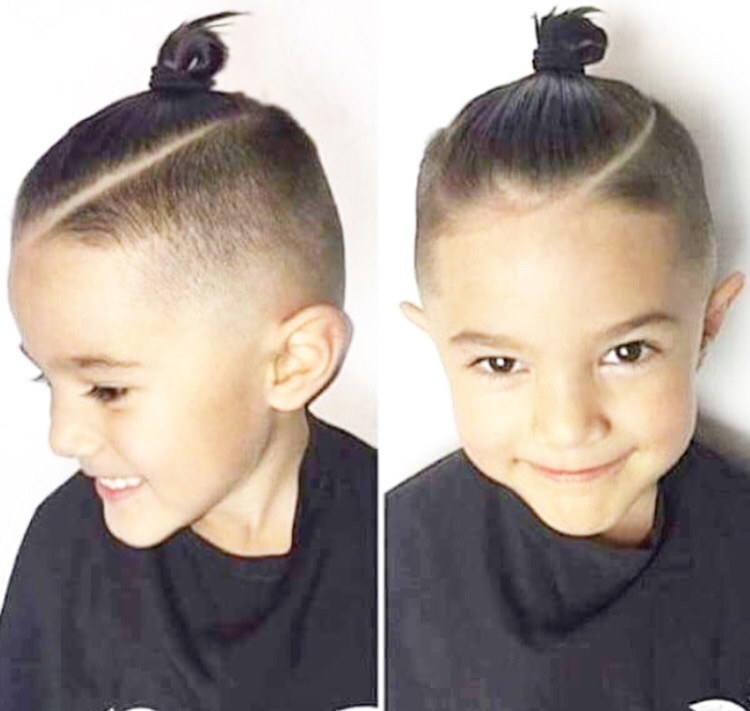 I was recently inspired by a follower of mine to write about trendy hairstyles for boys (thanks, Rachel). It is sometimes ironic of myself to stress the fact that I am obsessed with stylish dos for dudes, since my own son rocked quite the "bed head", "curly, frizz ball" quaff for so long. I'm a sucker for long curls, so I tried to obtain that style for him as long as I could, but I just couldn't tolerate the messiness any longer; it needed shape. I'm so pleased with how Hudson's turned out (see bottom of this post), and I can't wait for his hair to thicken to execute the look flawlessly. 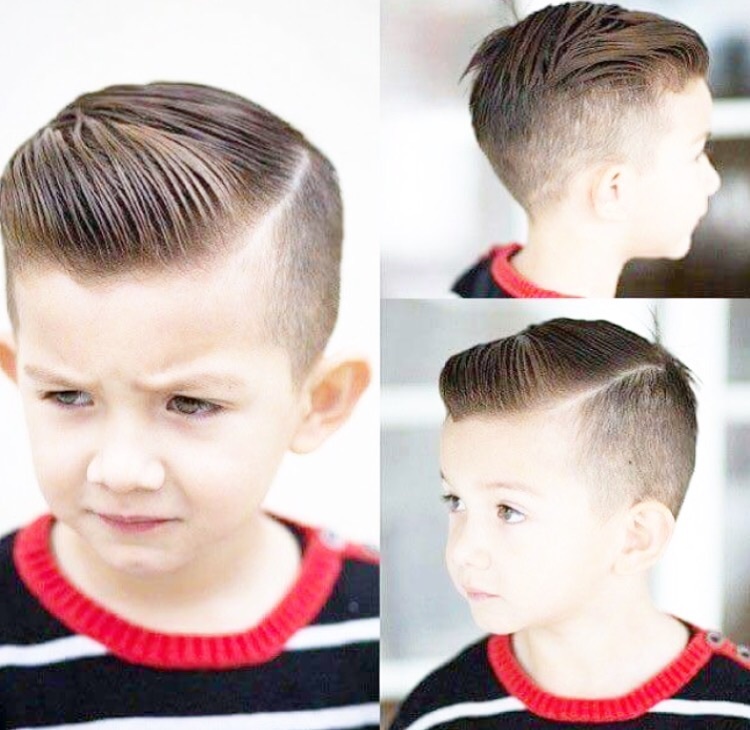 In comparison to times of the past, it's presently so easy to have fun with style for boys. 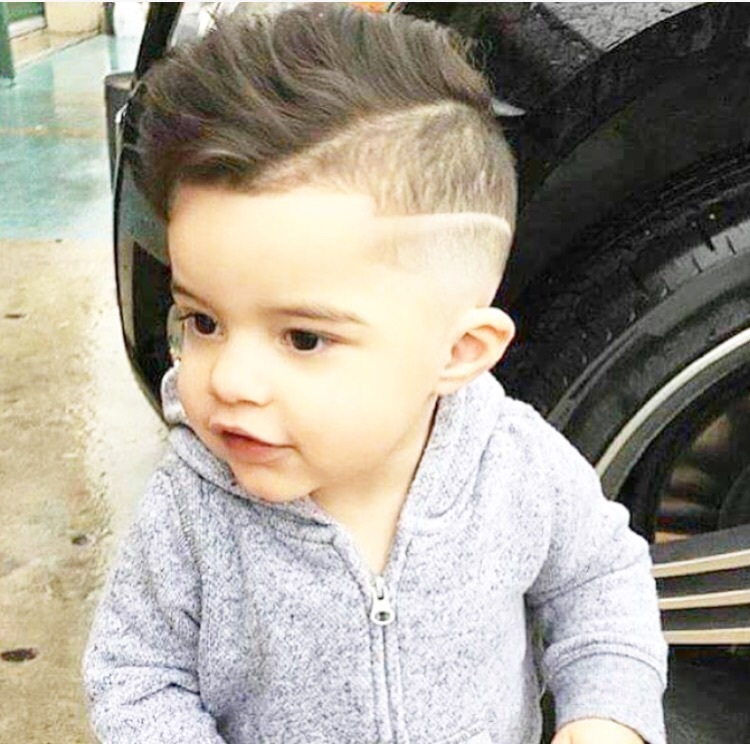 A fresh, on-point cut is just another approach to making your little men cute and fashionable. Let me me know how it goes! 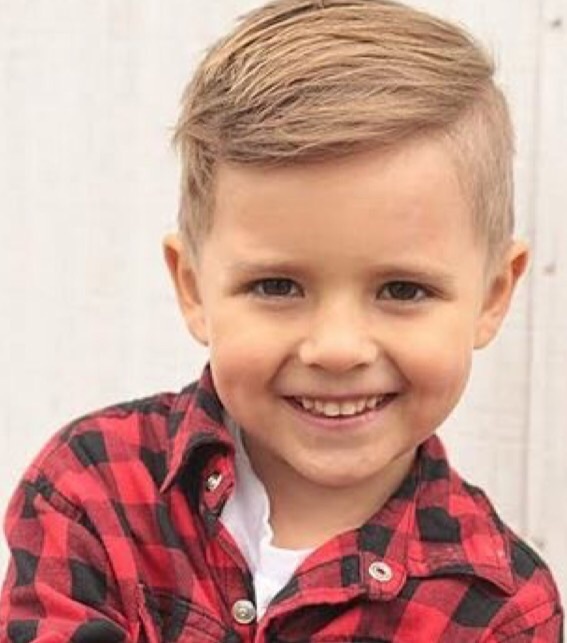 Hudson's fresh cut changes his entire look. He went from toddler to boy in one day. I'm loving his new hair, and it's surprisingly easy to manage and style.